Tracy Jordan would be proud! I adore 30 Rock. It almost makes me want to embroider the rest of the quote. 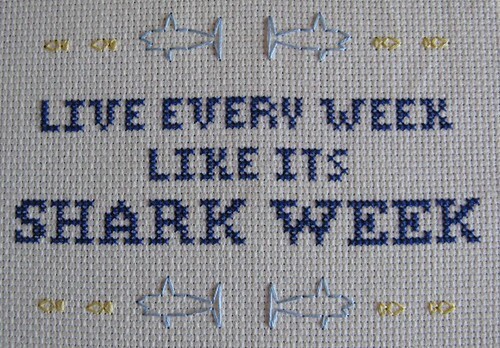 "Live every week like Shark Week, and the only thing impossible is Dinosaurs." oh THANK YOU for sharing this! i am still laughing out loud... and i want to make this.